Duration: Half-semester course offered in summer, fall, and spring (8 weeks). Suggested High School Credit Value: As an eight-week course, SAT® Prep Genius is a pass/fail, for-credit course for students who actively participate. 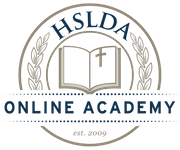 Tuition: $245 for HSLDA Members/$295 for non-members. Description: HSLDA Online Academy has partnered with Jean Burk and her award-winning College Prep Genius curriculum to offer SAT® Prep Genius. This live, interactive, eight-week course explores the logical patterns of SAT® question types and teaches students how to recognize obvious clues and find correct answers. With approximately one minute per question, many students are unable to finish their standardized tests on time. With the help of unique strategies found in SAT® Prep Genius, students are encouraged to learn clever acronyms and innovative devices for solving problems quickly and accurately. Watch a sample clip of an Academy live class session. If you have questions, please call 540-338-8290 or email academy@hslda.org. *Note: Section 2 of the late spring 2019 class will end on April 29, 2019, as it does not skip the week of Easter. Drop Policy: For any drop requests submitted by the 10th business day of the class, the registrant will receive a $100 refund. No tuition refunds will be offered after the 10th business day of the class. The $25 registration fee is non-refundable. What topics will I learn about in SAT Prep Genius? This eight-week course will cover the different sections and question types found on the SAT®. Students will learn how to approach these questions with different strategies and navigate them with ease. Students learn how to cut the time per question in half, so they can finish all the questions correctly and on time. Rather than approaching the reading section as if they were in English class, they will learn what content to look for, what information is superfluous, and exactly what they need to read. Students don't receive any credit for working out math problems the long way on the SAT®. In SAT® Prep Genius, students learn techniques that will shortcut their work and help them find the right answers quickly. For example, students will learn rhymes to help them with Geometry problems, learn how to answer each question without a calculator, and learn to feel confident even if a question contains an unknown concept. Students will learn about three types of questions that correlate to four passages with underlined portions. The curriculum will show students which questions focus on grammar, style, or analysis. How much homework is in SAT Prep Genius? We estimate that the course workload will take 5-7 hours per week. Varying numbers of practice problems, depending on how much a practice students would like to have before the test. What books will I use in SAT Prep Genius? The official booklist for SAT® Prep Genius is available now. In the official booklist, you will find information about the editions, book descriptions, and ISBN numbers. Am I ready to take SAT Prep Genius? If you are preparing to take a standardized test such as the PSAT/NMSQT®, SAT®, or CLT, the answer is yes! Students need to be able to read at a high school level. What is a Live Online Class Session in SAT Prep Genius? What if I have a schedule conflict with the listed SAT Prep Genius class time? All live class sessions are recorded for later viewing. While it is recommended that students attend each live class session, students can make arrangements to watch the recordings and receive full participation credit. Students should contact their instructor at the start of their course to inform the instructor of any foreseen schedule conflicts. What is the tuition for SAT Prep Genius? Please visit our tuition and discounts page for a full summary about course costs. HSLDA members save $50 on SAT Prep Genius courses!